This paper is the first to make a systematic review and assessment of the literature that attempts methodically to incorporate food processing into classification of diets. The review identified 1276 papers, of which 110 were screened and 21 studied, derived from five classification systems. This paper analyses and assesses the five systems, one of which has been devised and developed by a research team that includes co-authors of this paper. The quality of the five systems is assessed and scored according to how specific, coherent, clear, comprehensive and workable they are. Their relevance to food, nutrition and health, and their use in various settings, is described. 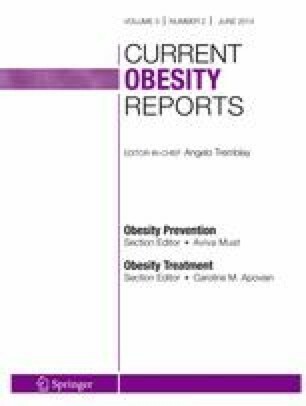 The paper shows that the significance of industrial food processing in shaping global food systems and supplies and thus dietary patterns worldwide, and its role in the pandemic of overweight and obesity, remains overlooked and underestimated. Once food processing is systematically incorporated into food classifications, they will be more useful in assessing and monitoring dietary patterns. Food classification systems that emphasize industrial food processing, and that define and distinguish relevant different types of processing, will improve understanding of how to prevent and control overweight, obesity and related chronic non-communicable diseases, and also malnutrition. They will also be a firmer basis for rational policies and effective actions designed to protect and improve public health at all levels from global to local. Jean-Claude Moubarac has received grant support from Fundação de Amparo à Pesquisa do Estado de São Paulo (FAPESP), São Paulo, Brasil. Diana C. Parra has received grant support from Fundação de Amparo à Pesquisa do Estado de São Paulo (FAPESP), São Paulo, Brasil. At the time of writing CAM, GC, and J-CM are members of the UN Food and Agriculture Organization expert consultation on incorporating food processing in food consumption surveys. This has included a meeting held on the occasion of the International Congress of Nutrition in Granada, Spain, to progress an FAO technical report in draft as this paper went to press. CAM, GC and J-CM, together with many other colleagues, are responsible for the development and application of the NOVA food classification system, and are authors or co-authors of many papers using early and current versions of the system published between 2009 to date, and in preparation, some referenced in this paper. CAM is a member of the World Health Organization Nutrition Guideline Expert Advisory Group (NUGAG). GC was director of the project leading to the 1997 World Cancer Research Fund – American Institute for Cancer Research report  and was chief editor of the 2007 WCRF-AICR report . None of the authors has conflicts of interest. International Food Information Council Foundation. Understanding Our Food Communications Tool Kit. Available at http://www.foodinsight.org/; 2010.